Is this new version of the classic puzzler a match made in heaven? 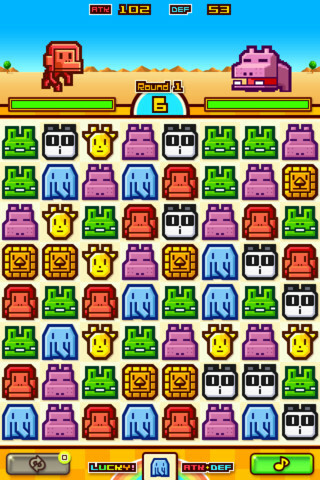 One of my biggest gaming confessions is that I never really understood the incredible buzz surrounding Zookeeper. I certainly enjoyed it, but it never felt like anything more than any number of match-three games I'd already played. In certain sections of the UK games press at least, saying this gets the same reaction as telling people you're rather partial to strangling kittens. 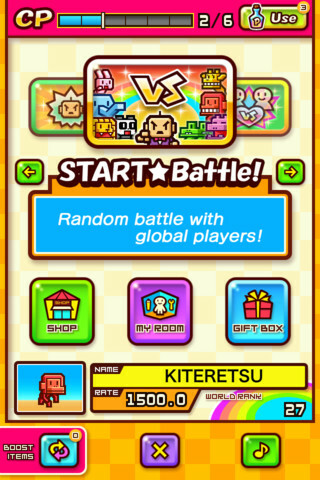 In this new version of the game you take part in round-based, one-on-one battles against a global playerbase, and I have to tell you now that some of these people are seriously, embarrassingly good at the core gameplay. If you like to consider yourself an expert puzzle gamer, then you might want to bring some humble pie to snack on while you play. 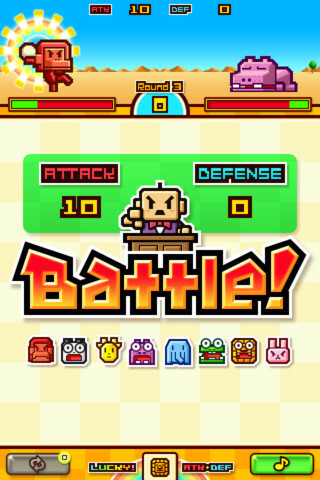 In this round-based combat you need to frantically make as many matches as possible from a grid of tiles. Some match-ups grant a defensive bonus, while others reward you with attack points. At the conclusion of each round, you go into combat against your opponent. Each defensive point you've gained nullifies one point of your opponent's attacking pool, and vice-versa. Once enough rounds have passed for someone's health bar to be obliterated, a victor is declared. The matchmaking is swift and the multiplayer gameplay solid. From the thirty or so matches we've played so far, the game seems to do a pretty good job of matching similarly ranked players together too, so you shouldn't find yourself unfairly swamped unless the number of players online takes a significant dip. Perhaps the most enjoyable part of the multiplayer combat is having to keep an eye out for a special tile type that's randomly chosen at the start of each round. Match these up and you'll get a one point bonus to both your attacking and defensive pools, and this can often make the difference between victory and failure. There's a devilish temptation to focus too much on these though, and end up missing out on the less valuable, but more common match-ups. To add a sense of randomness to the competitive gameplay, heart icons very occasionally appear, and tapping them gives a boost to your health meter at the start of the next round of combat. Tapping the even rarer buckets of sand will cause the grid in your opponent's next round to be temporarily grayed out, making it harder for them to make matches. There's a bit of a sour note though I'm afraid. This is a free download, and you can only take part in so many matches before your energy bar depletes. It refills over time, but (surprise, surprise) you can buy more top-ups from the in-game cash shop. There are also grid-shufflers on offer if you're finding yourself stumped in a round, although at the price Kiteretsu is asking you'd be mad to make use of them. For the most part, this new edition of Zookeeper has finally won me over. There's more purpose to the battling, there's no longer the ridiculous spike that accompanied the original game's single player modes, and doing battle against real-world opponents is frighteningly addictive. In an ideal world we'd be able to buy the game outright and play as much as we wish, but that's no reason not to get stuck into the best version of the game thus far. 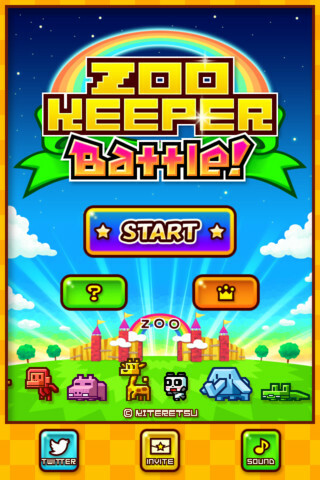 What's Hot: Zookeeper's match-three mayhem is a perfect fit for multiplayer battling. This is a frantic and seriously humbling puzzle experience. What's Not: We really would have preferred to buy the game outright rather than be dependent on timers. Some of the in-app purchases are extortionate.